Thanks to my Facebook “Memories”, I found a race report that I published on Facebook, prior to inception of the TTF blog site. It was published on this day (11/3) back in 2008. 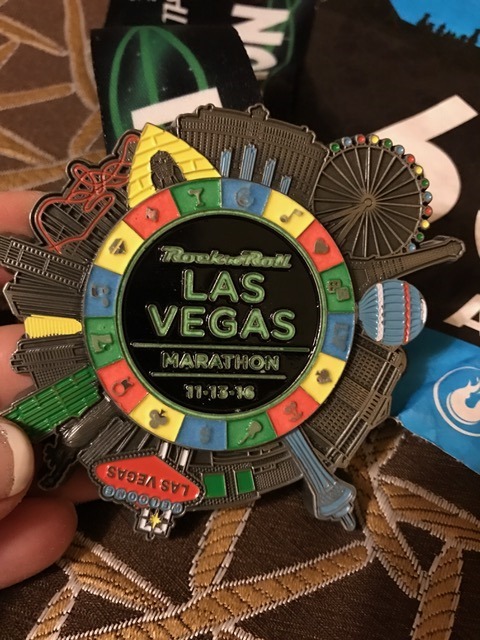 This was my 2nd marathon. It was during a time when I only ran one marathon a year, poured my heart into training & frequently was disappointed on race day. 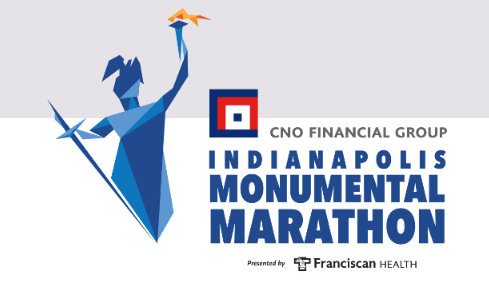 The Indianapolis Monumental Marathon in 2008 came after a very long TRI season. We were also trying to conceive Mr. Michael, who arrived on 9/7/09. I was tired. And emotional. 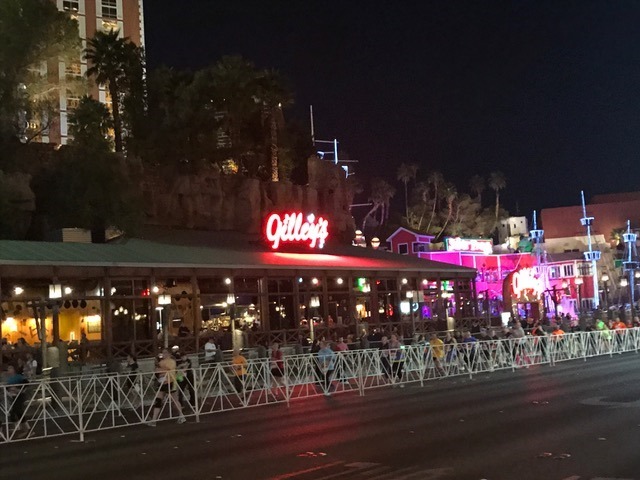 Two things that can make a marathon difficult at best. Indy put on a great race this weekend! 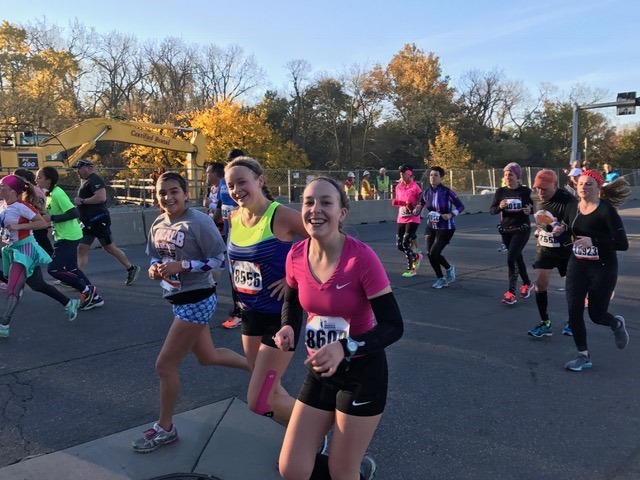 The weather was perfect, the course was perfect, I fueled properly……so why did I do more walking than running? I’ll never know why certain race days end in utter disappointment and tears. Saturday was such a day. I had my miles in, I had a good attitude, I was ready to run, unfortunately my body didn’t get the memo! I knew I was off almost immediately as my pace was slow and I didn’t have anything more to put into pushing the pace faster. 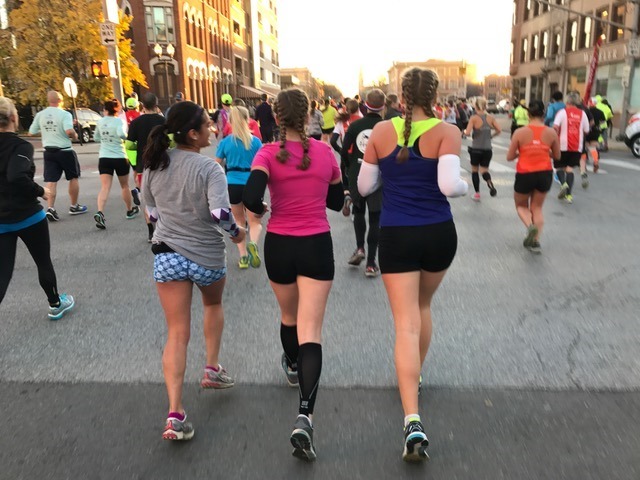 I tried to convince myself that since the weather was cold I was just a bit sluggish and that as soon as I warmed up then I would be able to settle in and start pacing properly. Realistically, when looking at 26 miles, a slow pace isn’t really too big of an issue, I can pick it up later or just run slower. No big deal either way because to me the marathon distance is really about personal achievement and not the clock time. Things just never came together and they went from less than ideal to pretty bad. I was upset not because I was slow but because I felt bad all over, from my head to my toes! 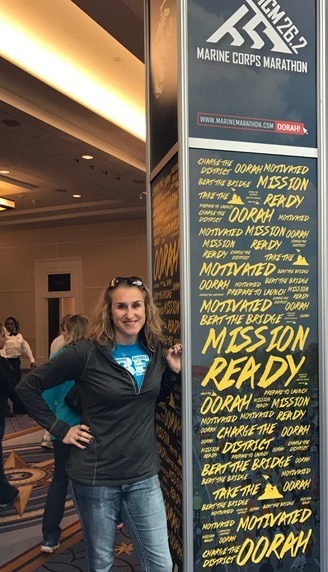 I was upset that I normally can run, even if it is slow, through all my training runs and now it was race day and I not only didn’t want to run, I didn’t even want to walk! Had I been close to home or on a training run, I would have scrapped the day. Some days just aren’t for running and I am old enough to know and accept what I’m given. However, I wasn’t in a situation where I could just get in my car and go home, or call Mick and have him come rescue me. Sigh….so I finished, not because I wanted to but because I didn’t have another reasonable option. It was a 4:50 finish; I was 2:09 at the half, so the majority of the walking did come in the last half. I ran/walked a 4:54 in Memphis last December and felt a whole lot better about it than I did the Indy finish. Not sure why but my emotions took a huge toll on me too, which I think just made it that much worse. And I know I have the ability to run in the 4:15 to 4:30 range…..but that would require that I actually keep moving the entire time! 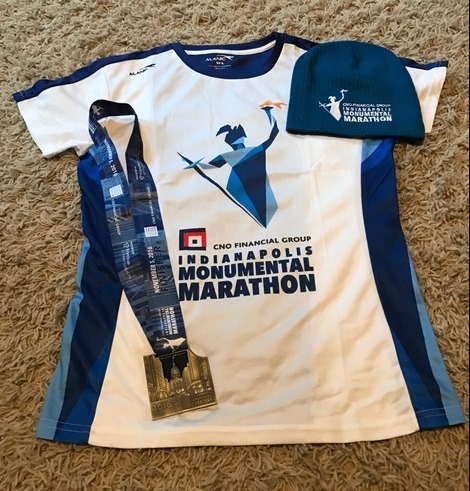 Looking back, I am thankful I had the desire, motivation and ability to train for another marathon. I am thankful I had a great friend (Abby) awaiting my finish to give me a tissue and commiserate with me! I am also thankful for the great people I met along the course, some who were having good days, other who weren’t. I’m super sore today, obviously my ego has been bruised badly, and I’m gonna take the week to relax and realign myself mentally. Hopefully by Friday I will be “back” and looking forward to a Saturday long run and maybe even possibly the Tecumseh Trail Marathon. I always say that “time changes almost everything”. And I still believe that. 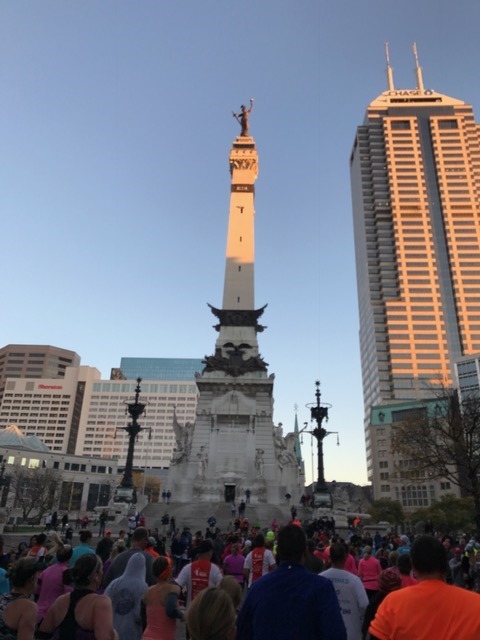 If you had told me after I wrote this race report, that in 8 years I’d be going back for my 3rd Indy Monumental Marathon AND that it would be my 35th marathon in all, I’d have told you that you were nuts. But apparently the joke’s on me. 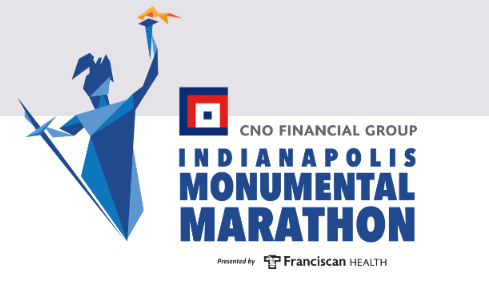 This Saturday will be my 3rd Indy Monumental Marathon. 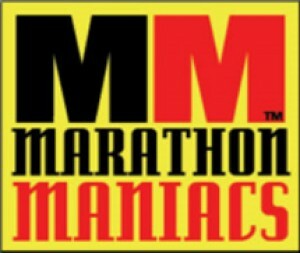 And it will be my 35th marathon. 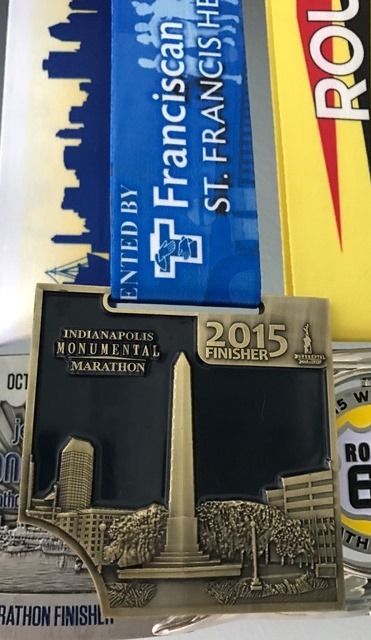 Interested in more posts on the Indianapolis Monumental Marathon? See the links below. 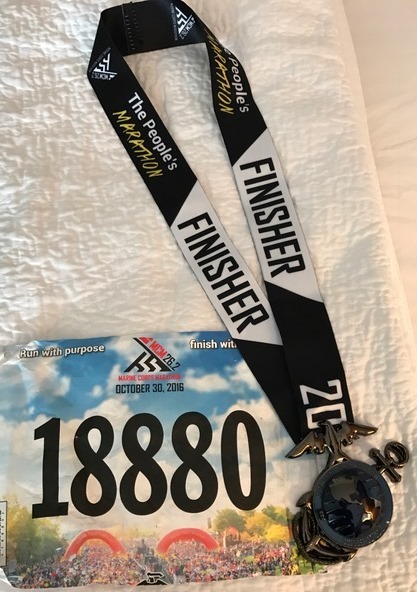 Marine Corps Marathon (2016) ….. 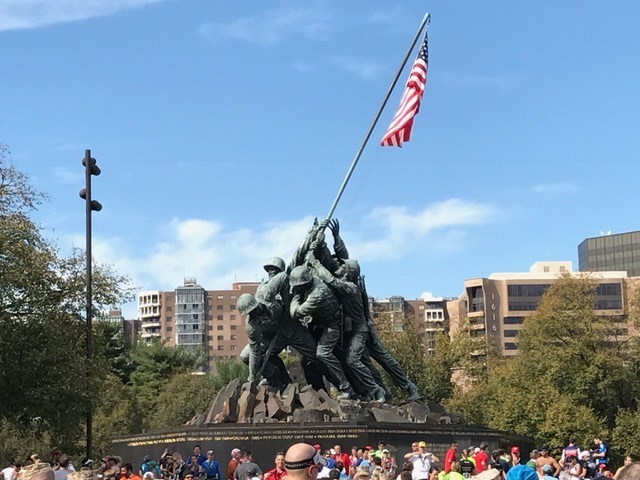 The 41st Marine Corps Marathon was held Sunday, October 30, 2016. This is a race that I’ve heard so much about over the years. It’s a “bucket list” race for many. A “must do” for others. 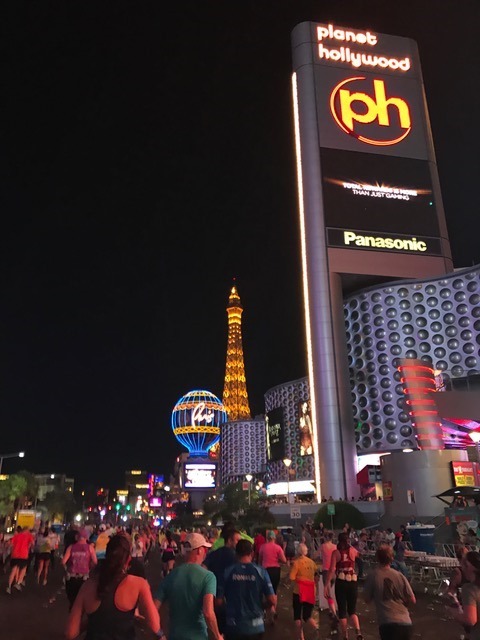 Its called the “People’s Marathon” because they do not offer prize $$ to elite runners and they are currently the largest marathon which holds back on that cash prize. 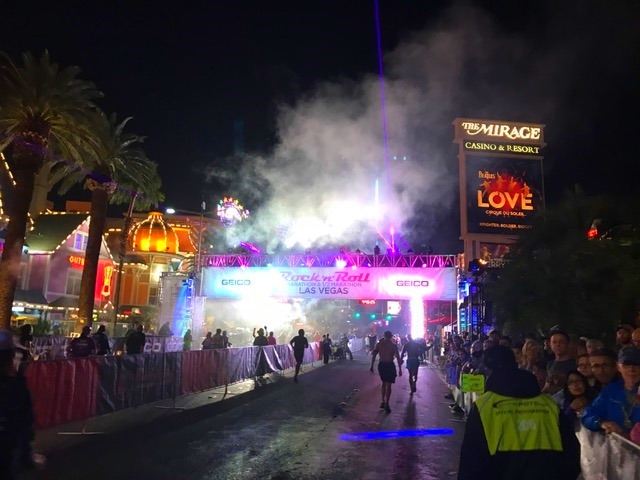 This year there were 24,965 runners who finished (19,897 for the marathon, 5,068 for the 10K). 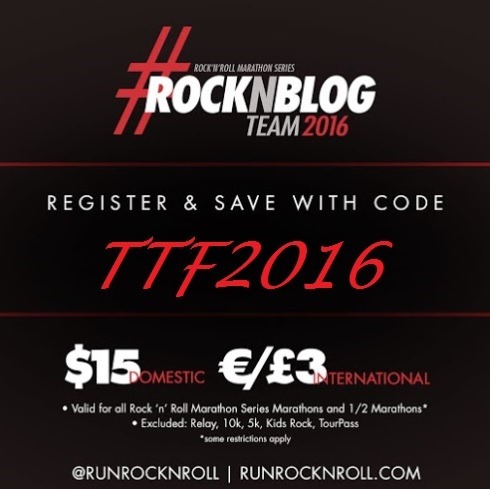 Its advertised as a great race for first time marathoners. Fifty percent of this race takes place on National Parks land. 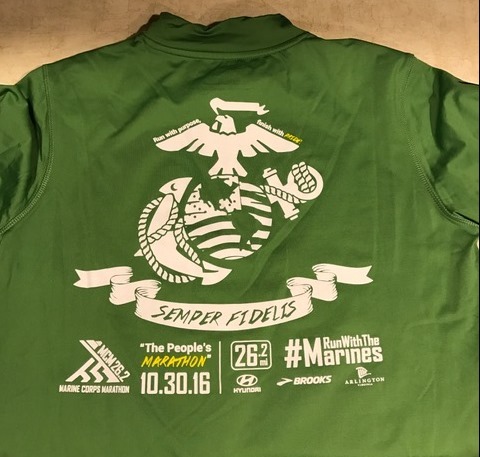 Its organized and ran by the US Marine Corps with Marines marshaling the course, working the aid stations, cheering & encouraging runners. That’s what most people know about MCM. Now the personal experience of it. 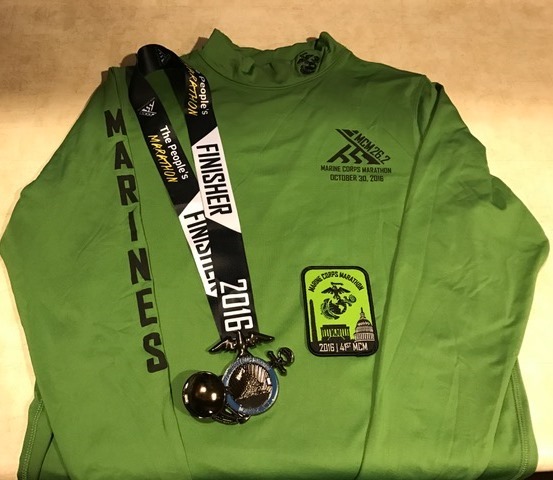 Marine Corps was my 34th marathon. So, I’ve ran a few. Some are super easy to navigate. Others aren’t. Anytime you add a big city into play, then the logistics will be more difficult. This was no exception. 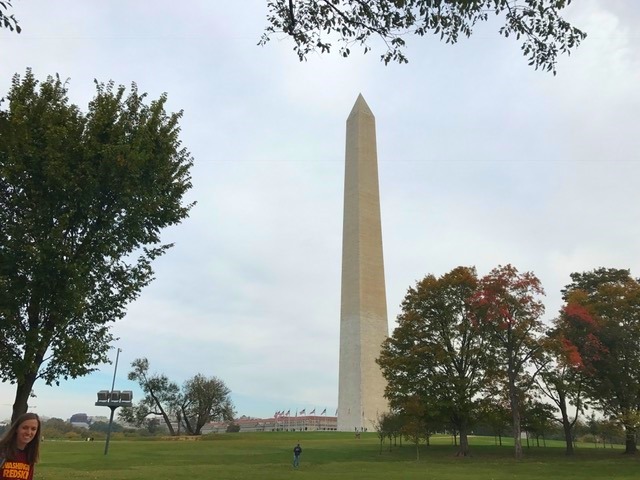 I drove to DC from the Ft Wayne IN area. So we had a car. This enabled us to pick a couple ladies up from the airport. Drive to the Expo. 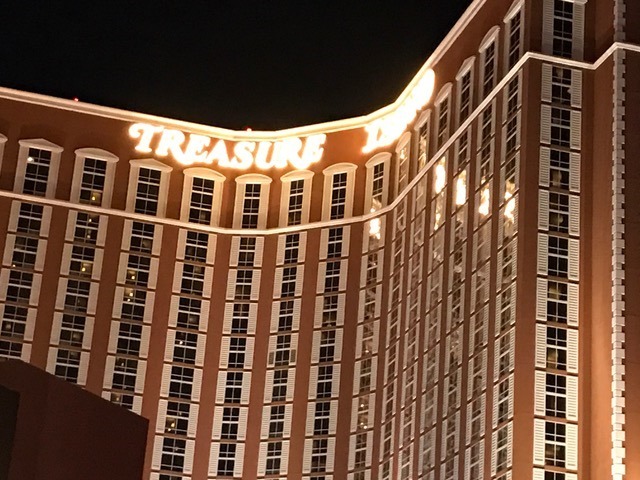 Then drive to our hotel. 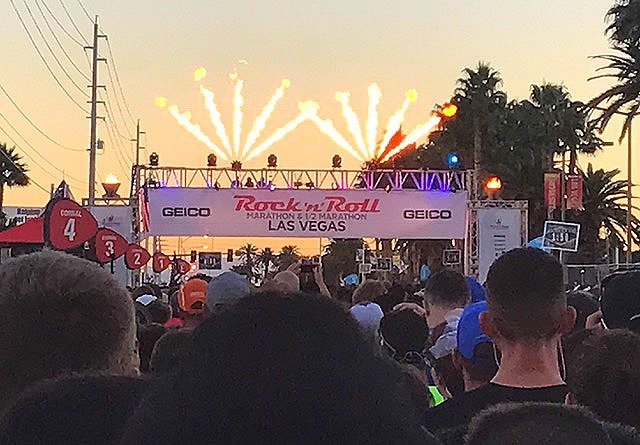 If you plan to fly to this race, plan to be dependent on Race/Hotel Shuttles, Metro or cabs/uber. 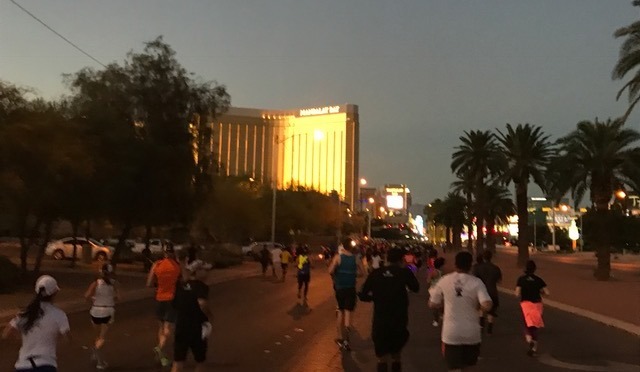 Everything is spread out and you can not plan on staying in a hotel then walking to the expo & to/from the race. We did well driving BUT I drive in Chicago every week, traffic doesn’t stress me out AND I have a great group of ladies who all take part in navigating so that I can focus on driving. 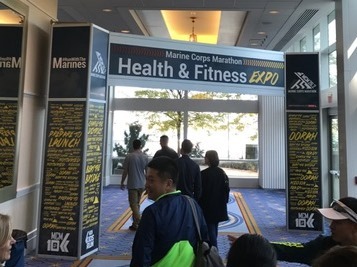 The expo was at the Gaylord National Resort & Convention Center at the National Harbor (MD). Isolated area, used for conventions & touristy stuff. 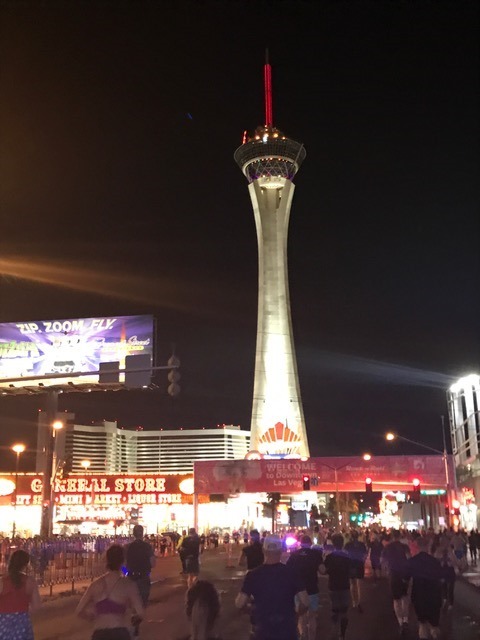 Shops, restaurants, Ferris Wheel, tours/cruises. Expo was crowded but packet pick up was smooth. 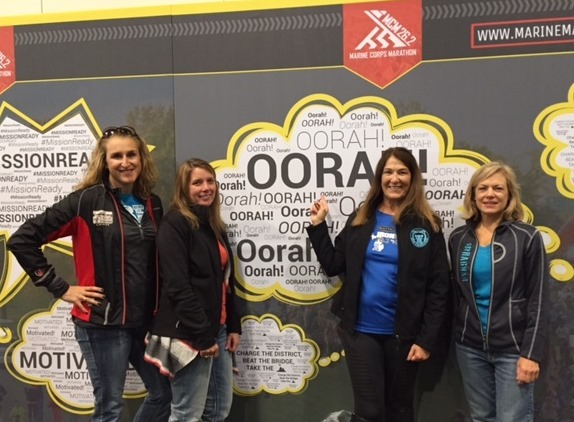 We were able to quickly get our race bibs & packets. 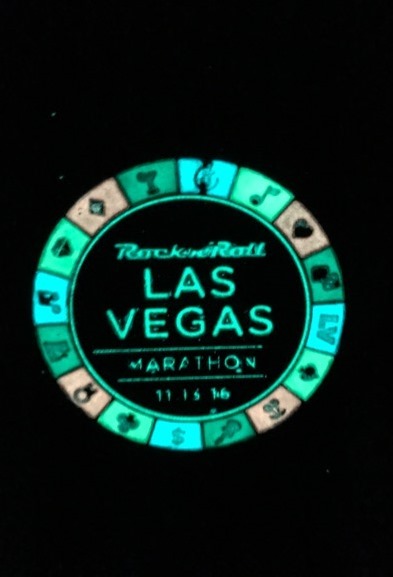 However, if you wanted official race merchandise then the wait for that Brooks gear was 45 minutes to an hour. We skipped the official merchandise. Grabbed a few pics. Toured the rest of the expo which was tight but a decent size. 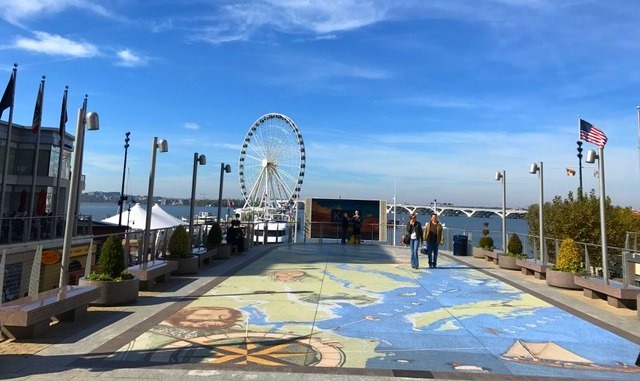 After the expo, we left the car parked for a bit and had lunch and walked thru the National Harbor area. Back in the car to head to our hotel, which was in the Courthouse area, south of Rosslyn. 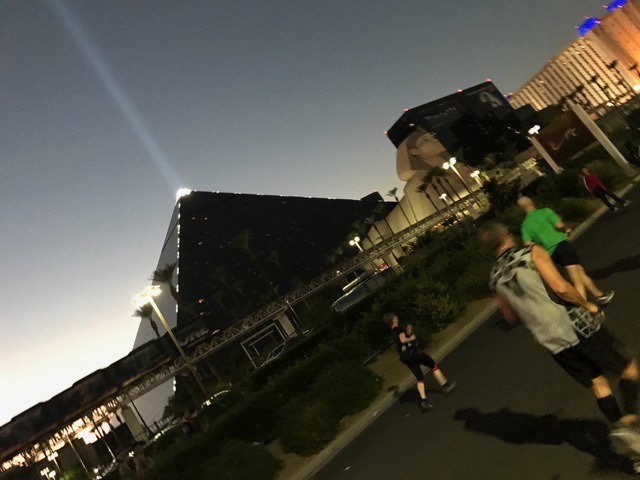 Initially I was concerned that we were too far out without Metro or shuttle service, both of which started after we needed to be at the start area. But alas, we were in a great spot and able to hit the back security entrance for the marathon. 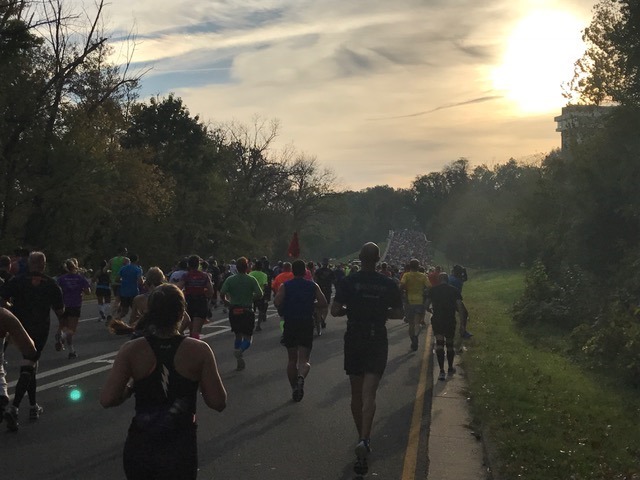 TIP – Pick a hotel in the Rosslyn area & you’ll be even closer to the finish (and back entrance for the race, which is at Meade Street & Marshall Drive). Race day started early. Up at 4am. Out of the hotel by 5am. We walked to the race site & were “trying” to find that back security entrance. Fortunately, we hooked up with a local couple while we were walking and they knew exactly where to go! We were thru security and basically sitting at the start line by 5:40a. Race started at 7:55a. The pre-race festivities, gear check & the main security entrance were all in the Pentagon North Parking Lot, which was about a mile south of the start. We never did go down there since we had already walked 3+ miles by the time we got to the start area. So we sat. We were close to the start and close to a large group of potties. It was a long wait but we had heard that it might take over an hour to get thru security so we had planned basically for an hour for security, an hour for the potty line & then a bit of extra time for walking & getting where we needed (including getting lost). Always better to be early than late but the temps were cool in the morning. About 48 degrees. I was cold & my hands were numb by the time we started running and I was tired. 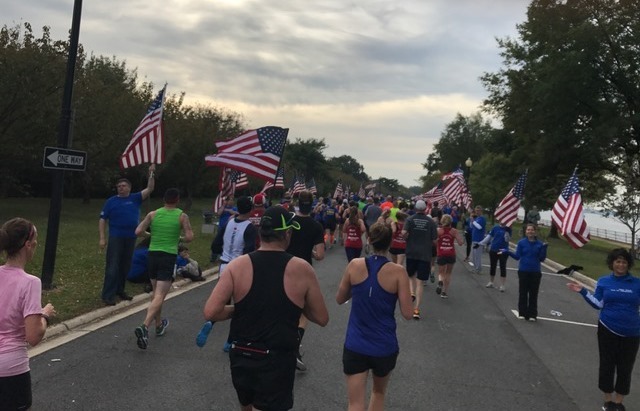 The race started on Route 110 beside the Arlington National Cemetery, just north of the Pentagon, running north toward Rosslyn. The first 5 miles were hilly but the majority of hills were in the first couple of miles. I actually walked up my first hill in mile 2. Hills aren’t my friend at this point. I’ve had a damaged hamstring/glute for about a year now. Its connected to my damaged back (ruptured disc) so I don’t stress when my body feels stressed, I just walk. 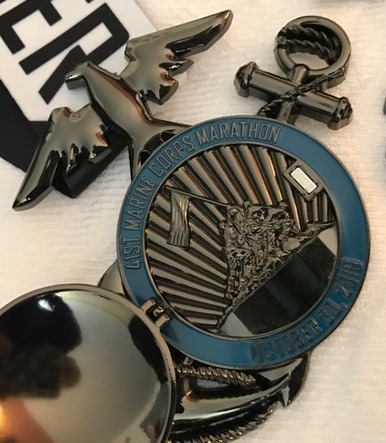 This was my 34th marathon. If I feel like I need to walk, I walk. End of story. Race course was crowded. No official “start corrals”, just signs to indicate that we should line up according to predicted finish times. But most people didn’t do that. 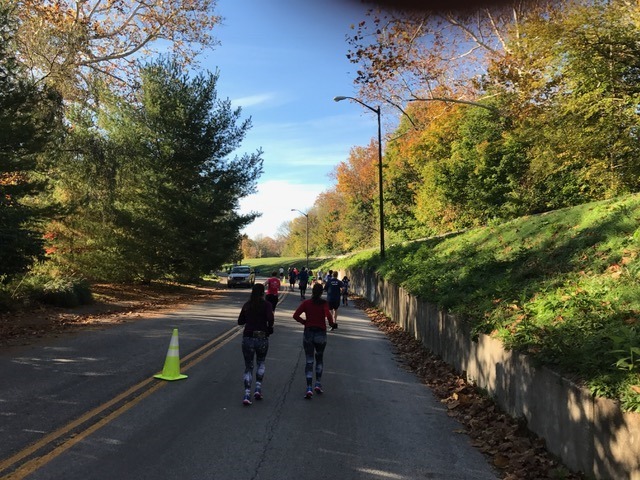 The buzz in the air was all about the time limit to “beat the bridge” at mile 18. Nobody wanted to start at the back and then have less time to get to “the bridge”. Pretty chaotic as a result. So we had a race course packed full of runners of varying paces and huge spectator crowds. Race moves thru Rosslyn, thru Thrifton Hill Park with fog hovering & onto Spout Run Parkway. Very magical and one of my favorite areas of this race. 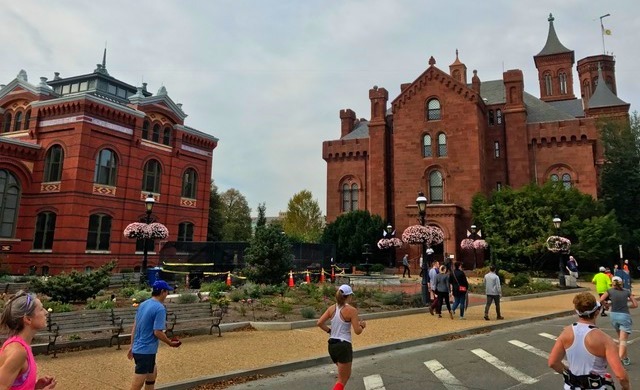 After the Park we merged onto George Washington Memorial Parkway and ran beside the Potomac River to prepare for our first bridge crossing into Georgetown on the Francis Scott Key Bridge. You can see tiny runners on the bridge in the pic below. By this time, I was starting to see a pattern. Aid stations were spaced pretty far apart for a road race. 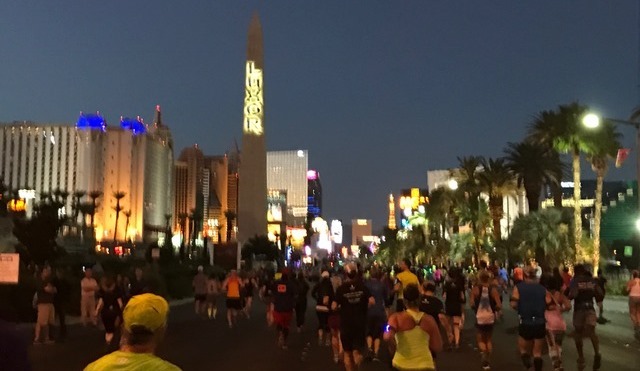 Most major marathons have water stops between a mile to 1.5 miles apart. At MCM, the first waters stop was at approximately 2.2, the next at mile 5.1, the next at mile 7.7. These are approximations but I’m pretty close on the distance. We had a total of 12 water stations for 26.2 miles. Each water station had Gatorade Endurance and water, potties & medical was close but not always with the aid station. 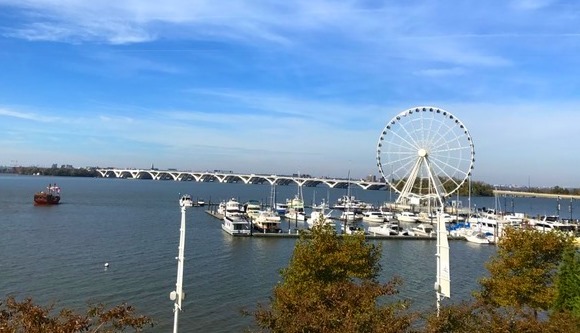 I’m starting to get thirsty about the time I leave Georgetown and head to Rock Creek Parkway, miles 6-8, but the views of the Potomac were awesome. We passed the Kennedy Center but I missed it or couldn’t identify it. Then the Lincoln Memorial, which I could barely see. Those were miles 8-9. Mile 9-10 passing the FDR Memorial. Definitely couldn’t see that from my spot on course but we were by the Potomac & had a breeze and nice views of the river. Still lots of spectators. 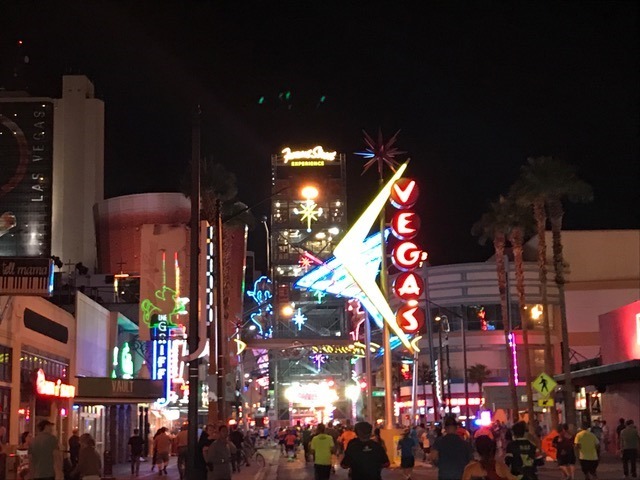 Mile 10-11 was the Wear Blue mile. Emotional. 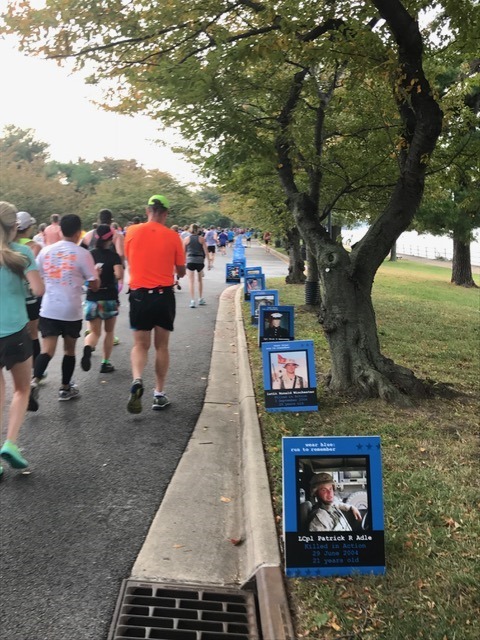 Both sides of Ohio Drive heading south toward Hains Point were lined with photos of fallen soldiers. Name. Age. Rank. So many under the age of 24. Men. Women. Black. White. Hispanic. People of our nation who fight for our freedom each and every day. Around Hains Point. Mile 13-14 Jefferson Memorial (from the opposite side). I can pick that one out. J told me to take a pic so she could grab a breather. Then the Martin Luther King, Jr. Memorial, Lincoln Memorial, DC War Memorial & Korean War Memorial – Miles 14-15. I couldn’t see these from my vantage point on course. 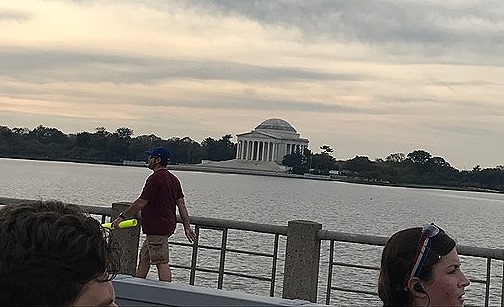 If you didn’t know they were there (and I didn’t know their specific locations since I’ve only been to DC 2x previous) then you wouldn’t even know to look for them. 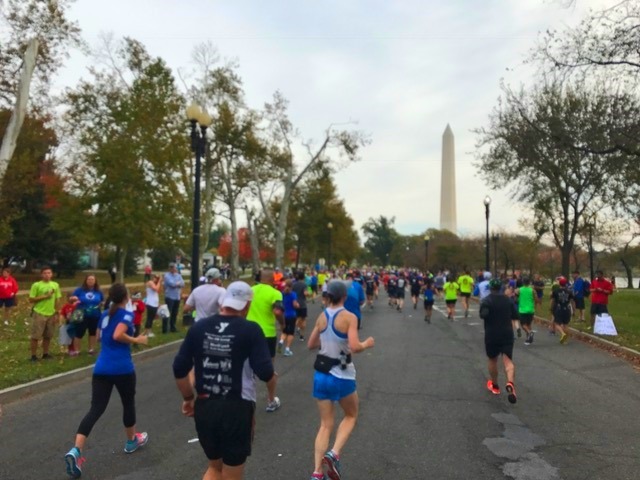 What I could mainly see was the Washington Monument at various points, thanks to its height, a course loaded with runners and streets/roads lined with amazing spectators. The spectators never stopped, they lined the entire course. After passing the Washington Monument (and the WWII Memorial, which I couldn’t see from course), we entered the MCM Gauntlet. This is the first cutoff point. 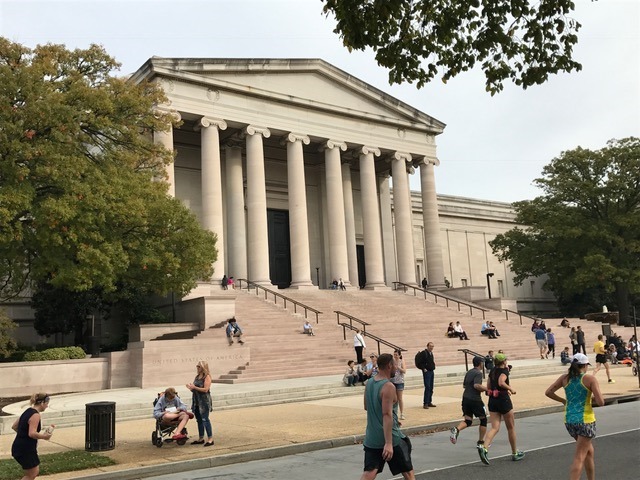 Runners must reach this section, around mile 15.5 by 12:38pm or they will not be allowed to run the National Mall campus which passes all the various Smithsonian buildings & the Capitol. Possibly the coolest part of the course, so stay focused so you can get thru the Gauntlet. 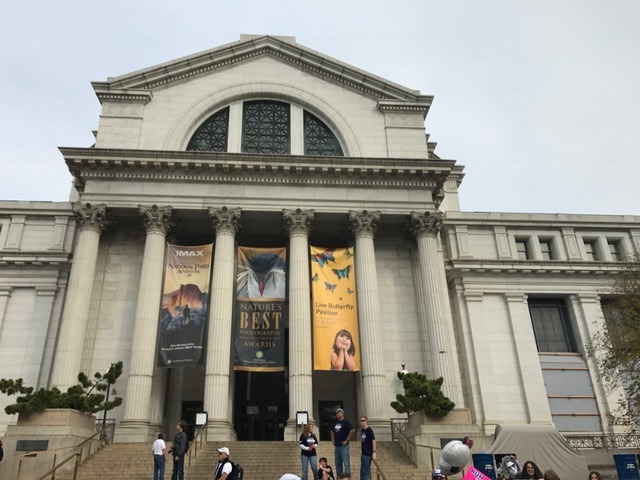 Mile 15 thru 18 is where you can get up close and personal with all the museums on the National Mall Campus, really see the buildings, their specific architecture and actually read their names if by chance you don’t have the layout of DC memorized. I certainly don’t so I really enjoyed this section. National Museum of African American History & Culture. DC War Memorial. National Museum of American History. Natural Museum of Natural History. 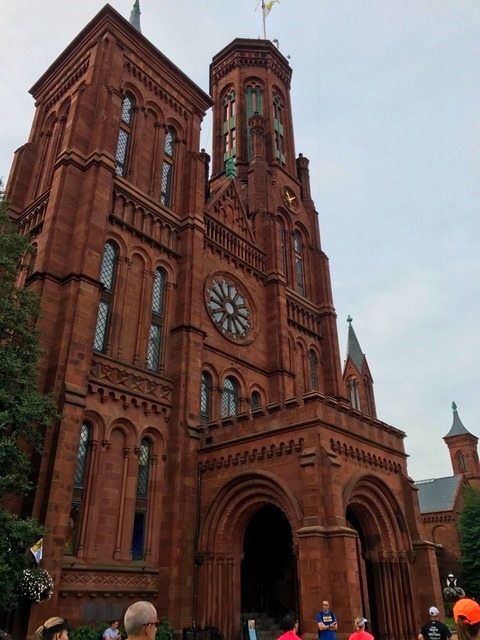 National Museum of American Indian, National Air & Space Museum, Hirshhorn Museum & Sculpture Garden, Smithsonian Castle (below), Holocaust Museum, US Dpt of Agriculture, US Dpt of Treasury. By this point, I was very thirsty. I was getting cotton mouth between water stops. I had Tailwind on me for nutrition and I was trying to be very careful and not take it all in as “fluid” vs using it as my fuel source. Finally finished my Tailwind around mile 17 so I could use my bottle for water. I was really behind the ball on fluids at this point and could only take so much in at one time. I was using salt tabs too in order to help my water absorb. I thought I was doing well. I felt okay, was just thirsty, no sloshing tummy. 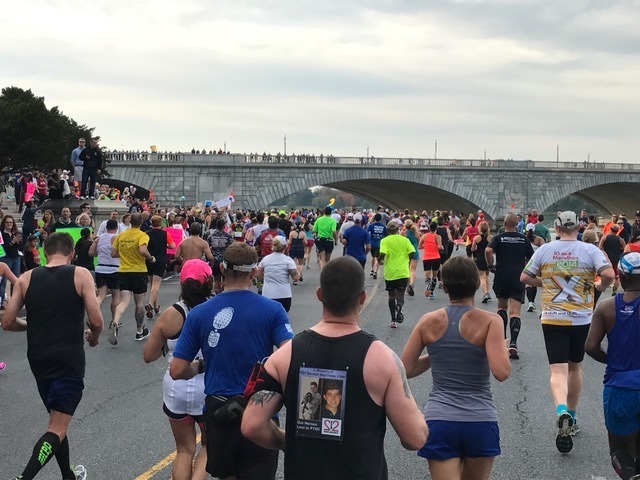 Mile 18-19 – Beat the Bridge. Second & final cutoff. 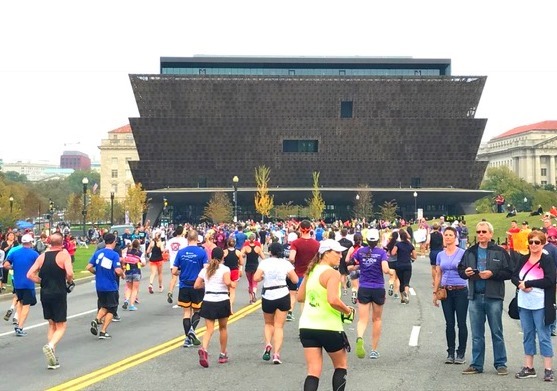 Runners had to be to 14th Street bridge by 1:15pm or they will not be allowed to finish. This section isn’t fun. We hit the 14th Street Bridge and it was forever long. 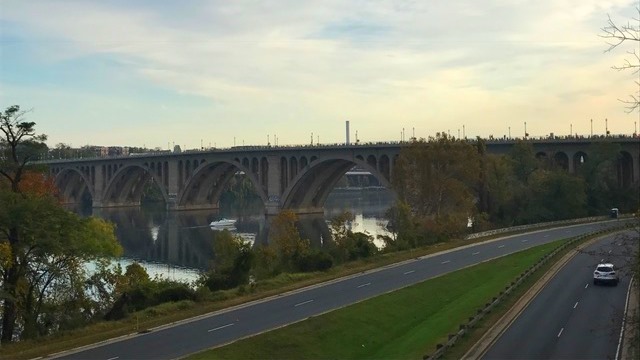 We crossed the Washington Channel first, then over the East Potomac Park which we ran earlier for the blue mile, then we crossed over the Potomac River. In all, we didn’t get off the bridge until after mile 20. From 20-21 we looped the Pentagon area. Nothing to see. I must have drank too much water at the previous aid station. I got sick. Vomited my water & Tailwind. Nothing solid. I didn’t feel bad, just couldn’t stop it from coming up. I ate some pretzels to settle my tummy, grabbed a gel & refueled. Off to Crystal City (miles 21-23). Lots of restaurants and shops so there was a big crowd of spectators. 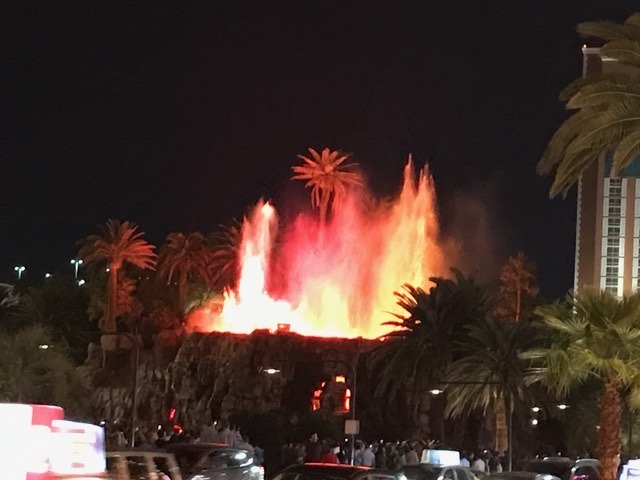 Fun area. 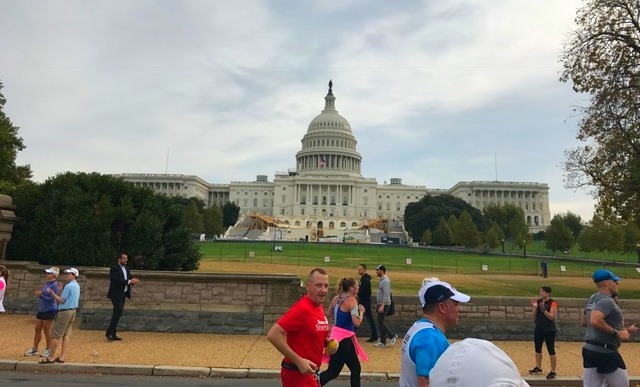 Then we were headed to the finish, past the Pentagon again (yes, super tired off seeing the Pentagon), past Arlington Cemetery & up a big hill to the finish at the US Marine Corps War Memorial, AKA the Iwo Jima Memorial. 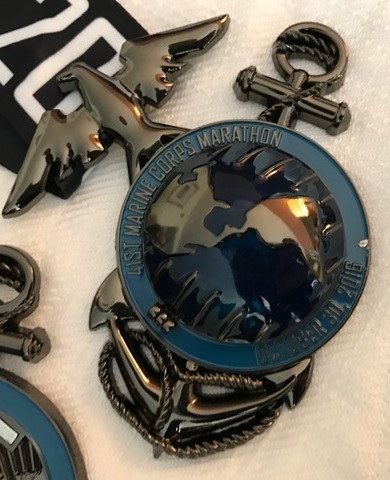 Cool medal featuring the Eagle, Globe & Anchor with a center piece that opens to reveal the Iwo Jima Memorial. 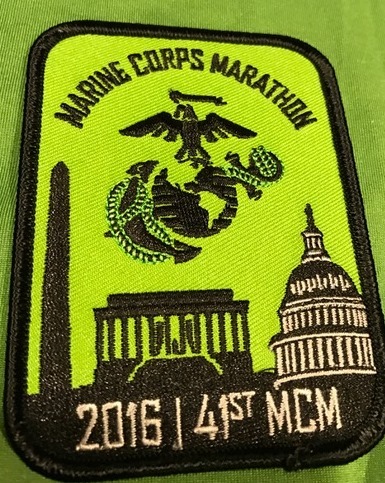 Unique SWAG, a green thermal mock tee for cold weather & a 41st MCM patch. Overall a cool race. Water stations & potties were spaced too far apart for me (and many others). Four food stations and so many spectators who offered food to the runners that fueling should not have been an issue. 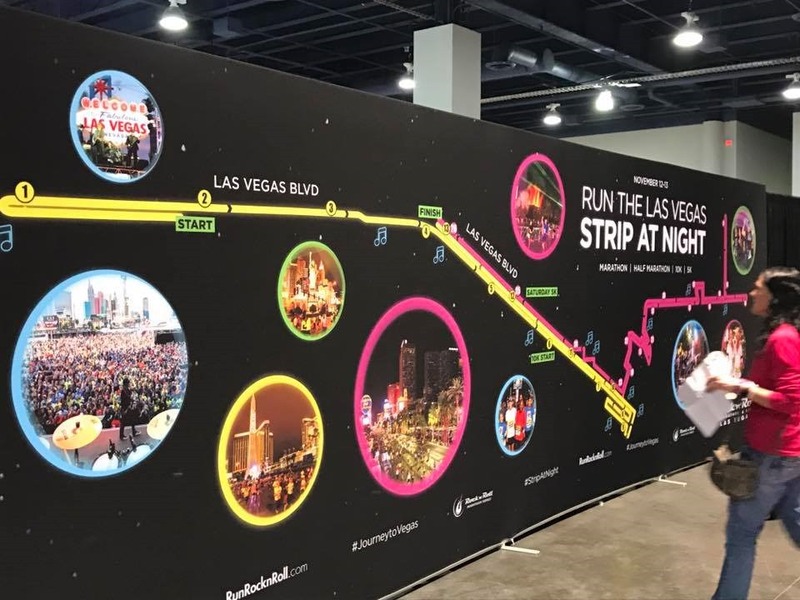 The route hit a lot of really cool things but there were a lot of things that were “advertised” that I couldn’t see from the run course. 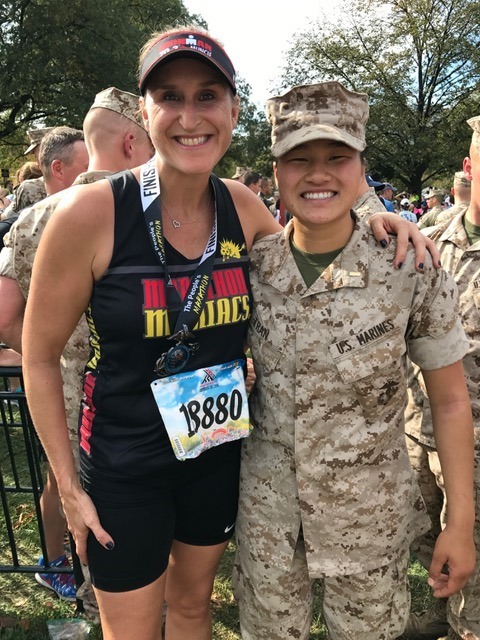 I’m sure this entire race was a security nightmare for the Marines and I was impressed by how welcoming they were to us. Very respectful, I’ve never been called “Ma’am” so many times in one day. They did a great job with this race. Very organized but not as easy to navigate as some venues. Bottom line, each race is different. 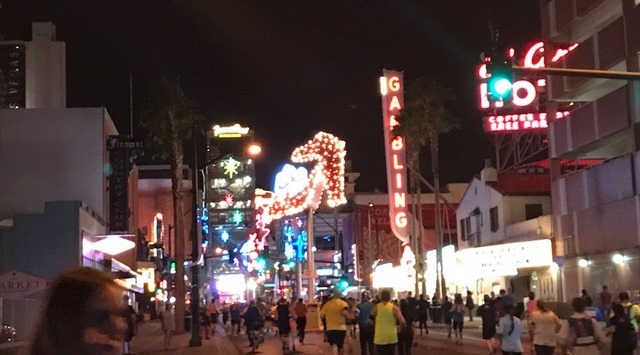 If you are going to run a lot of races & travel to some, expect the unexpected. Go with the flow. Have a good attitude & just enjoy what the day gives you. And expect a few “extra” miles on your legs by the time you are finished with your race and back in your hotel. We ran/walked 33 miles on Sunday. Fun day but a whirlwind trip. 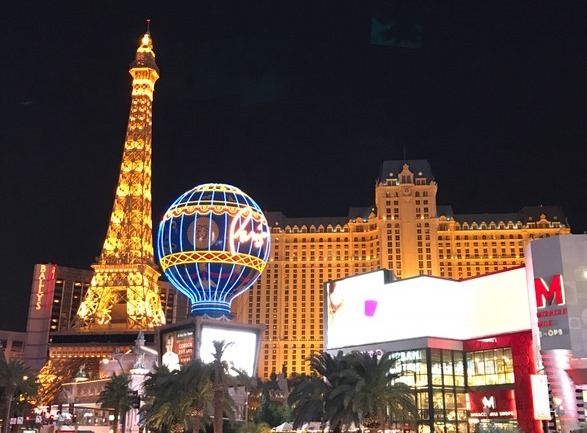 If you have MCM on your bucket list, I hope you have a few days to spend enjoying the area. 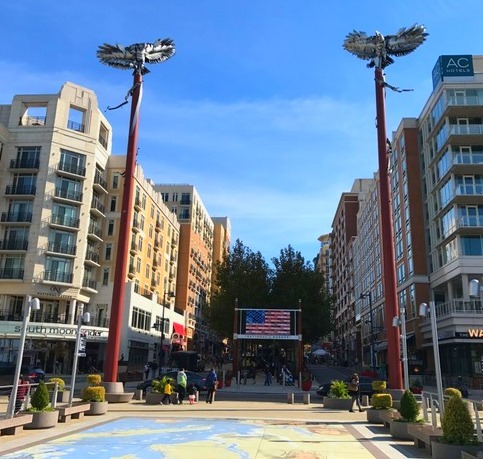 Lots to see & do in Arlington, VA & Washington DC. Go, enjoy it!